Renault Kadjar Running Costs, MPG, Economy, Reliability, Safety | What Car? The Kadjar undercuts the Qashqai on price and is competitive with rivals when it comes to CO2 emissions and fuel economy. The 113bhp, 1.5-litre diesel is the most economical engine in the Kadjar's line-up – official fuel consumption exceeds 55mpg – and the entire range only spans a few Benefit-in-Kind percentage brackets for company car tax. The Kadjar will lose its value through depreciation a little faster than the rival Qashqai, but not at such a rate that will worry most buyers. In fact, seriously attractive PCP finance deals are available, thanks in part to generous deposit contributions that are routinely offered by Renault. Even entry-level Play models get essentials such as air-con, cruise control, and the 7.0in infotainment system we described earlier. However, we reckon Iconic trim is the best value; it adds sat-nav, keyless entry, front and rear parking sensors and a rear view camera. It doesn’t cost a great deal to move up through the trims if you’re desperate to add some extra gadgets. For example, upgrading to S Edition brings you extra luxuries such as LED headlights, sportier looking upholstery and that headroom-sapping panoramic sunroof. 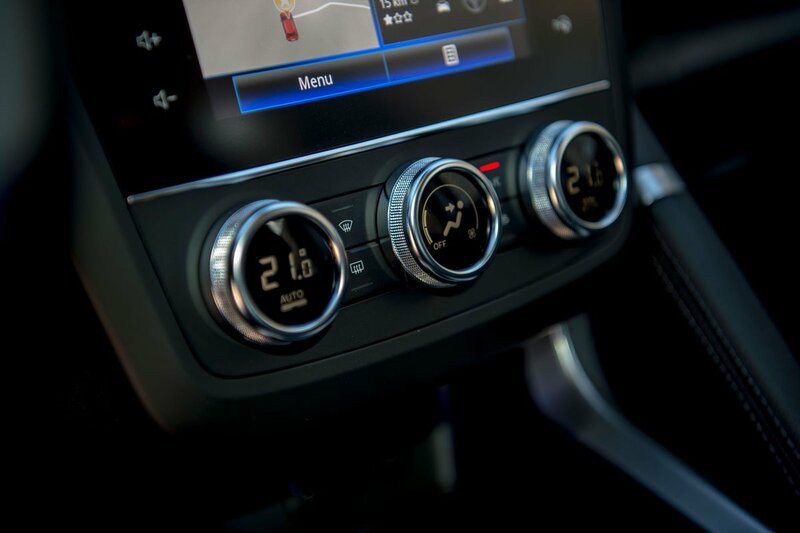 At the top of the range, GT Line trim adds heated front seats and puddle lamps, which illuminate the ground below as you leave the car. Despite sharing oily bits with the Qashqai, the Kadjar fared rather better in our 2018 What Car? Reliability Survey. It placed fourth out of 13 family SUVs scrutinised: the Qashqai finished 12th. Renault provides a three-year warranty as standard, with no mileage limit in the first two years, but a 60,000-mile cap in the third. This doesn't look particularly generous next to the five-year, unlimited mileage policy of Hyundai, or Kia's seven-year/100,000-mile warranty, though. You can add an extra year's cover for an additional fee – providing you've not exceeded that 60,000-mile limit. You also get three years of roadside assistance. Every Kadjar comes with six airbags, tyre pressure monitoring and a full suite of stability and traction aids as standard. Iconic trim and above gets you lane departure warning and automatic headlamp high-beam, too . However, blindspot monitoring and automatic emergency braking are available only on the range-topping (and pricey) GT Line trim, which also features traffic-sign recognition. 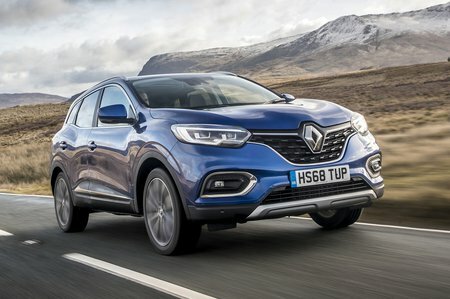 Euro NCAP awarded the Kadjar the full five stars for safety, which is the same score as the rival Qashqai achieved (albeit under an older, less stringent set of criteria). Thatcham also awarded the Kadjar five stars for guarding against being stolen and four stars for resisting being broken into. 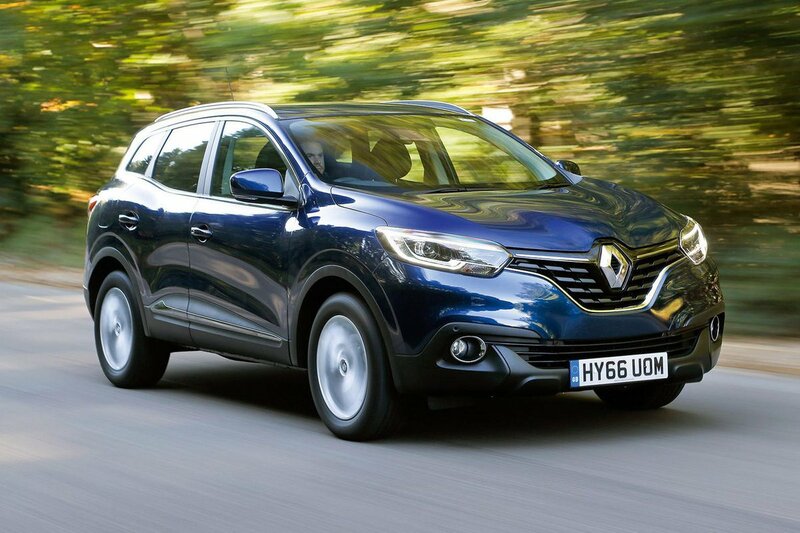 The Renault Kadjar is a fine all-rounder that deserves more than a second look. The Skoda Karoq pips it in a few areas, including ride comfort and interior finish, but compared with most other family SUVs the Kadjar holds its own. We'd recommend the 1.5 diesel in Iconic trim for the best balance between power, equipment and price.